Instagram hashtags, It's important to make instagram hashtags on your own pictures you post, Stories you make are being watched more than usual. You have to start with trending hashtags that fits your own post category and that's going to make more engagement and love reacts on your post. Hashtags: Why not to place all the top hashtags in my picture? 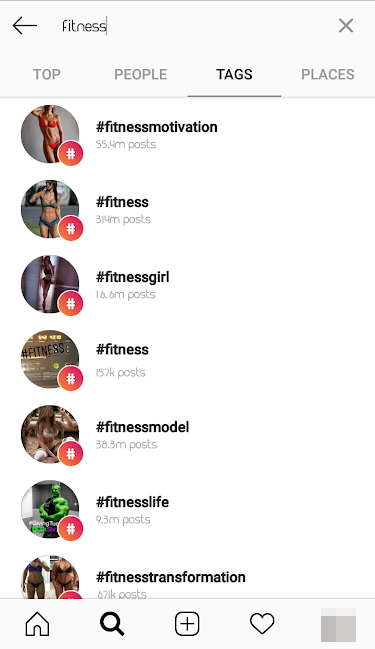 When you post a picture with containing Fitness content and you just post it into the hashtag of technology, Trust me no one will engage it. You have to post trending hashtags related to your own business category, Or your photo category. How do you get related things to your hashtags? 1. Open Instagram application and tap the search icon. You should use hashtags, and has made it extremely easy to find the fitting hashtags for your post. To start, open the Instagram application on your mobile device and tap the magnifying glass at the bottom of your screen. 2. Tap the search bar at the top, And start searching. The search screen on your Instagram might first send you to a news feed style page with suggested content based on topics you've demonstrated an interest in on social media. To change to a hashtag search, tap the search bar at the top of this page, as shown in the screenshot above "Search Instagram". 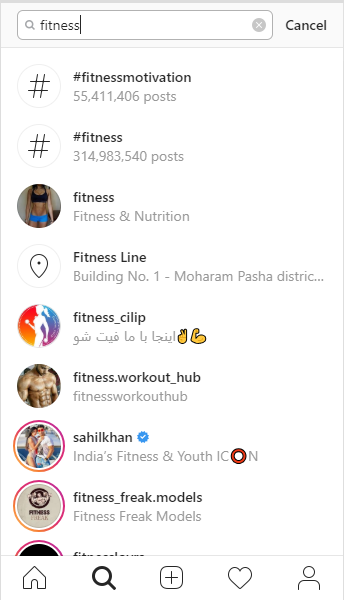 Choose the Tags option from the top of the screen, And Instagram will give you four options with which is similar to your search. Instagram refers to hashtags "Tags" as shown in the screenshot coming up. Tap this "Tags" option, then tap the search bar above it, and begin searching topics for which you want to find related trending hashtags. You don't have to type or include the sign (#) in your search, your results will be the same with or without it, but you will still need need to use this pound sign in the caption of your photo once you choose a hashtag of course. 4. Browse hashtags based on post type and content. Here we are! You should see many options for hashtags based on your hashtag search. Your post category and Browse around at each related hashtag that Instagram suggests for you! You might find that a hashtag with slightly fewer posts includes photos or videos that are more in line with the post you're posting. You can hire us Brightery to make your work done in the right way. And no problems.